In August, NPQ reported that New York University (NYU) had declared that tuition for its medical school would henceforth be free. New York University announced yesterday that it would offer free tuition to every student at its top-10-ranked medical school without regard to need or merit. The whole plan will cost $600 million, and it has already raised 75 percent of that. Tuition at the school formerly cost $55,000 a year, and the measure will cover not only the 443 students currently enrolled, but also all future students. Kenneth and Elaine Langone of Home Depot contributed $100 million toward the fund. NYU is the first top-ranked medical school to go entirely tuition-free, although there is a similar, merit-based tuition waiver program at UCLA’s David Geffen School of Medicine. That fund cost a more modest $100 million to establish, but it covers only 20 percent of students at the school. On the other hand, UCLA also covers living expenses for those who win the scholarships, which the NYU program does not. Bloomberg disparaged higher education costs in his op-ed and suggested that more alumni should give, financial aid should be based on need, and students should receive comprehensive guidance before college. Bloomberg’s previous gifts ran the gamut from a building, to health studies, to scholarships. He also provided a $100 million gift to Cornell Tech in Manhattan. Putting the current Bloomberg gift into perspective is the cost of higher education more generally as a weight on both individuals and systems—like medical care. Individuals and families in the US are concerned about the cost of higher education to the point where students may give up, and nontraditional adult working students, along with students who arrived straight from high school, are digging deep financial holes in order to update their skills to improve their careers. Worse, student debt burdens serve to deepen the nation’s growing racial wealth divide. The data is clear that selective colleges are failing to serve those from the low- to middle-income brackets. Despite their abilities, 38 colleges had more students from the top one percent than the entire 60 percent at the bottom of the income scale. Some public universities are feeling the heat and offering more financial aid to middle-income students. Donors can help in some cases of donors, but can such efforts scale? 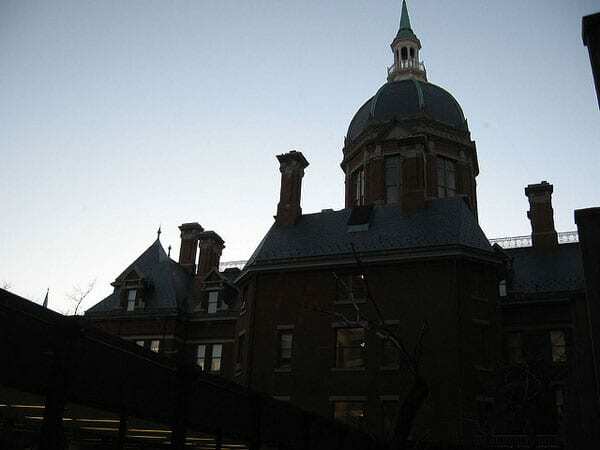 Beginning in the fall of 2019, Johns Hopkins will be a loan-free institution. We will replace all undergraduate student loans with scholarships, and we will reduce overall family contributions to financial aid. In addition, for the spring 2019 semester, we will offer immediate loan relief to every enrolled undergraduate student whose financial aid package includes a federal need-based loan. Hoping to diversify the next generation of doctors and to address the shortage of primary care physicians in underserved areas, New York University is now offering free tuition to its med students. But are enticements like free tuition enough to attract more diverse students to medicine? And is the promise of a debt-free education actually going to cause more young doctors to go into primary care?